Fitness Centers on the Island exist for locals and vacationers. There are several options located in all the Major Resort Hotels or local fitness clubs. The Westin and Marriott have day passes for you to go enjoy their Fitness Centers. They are world class amenities and sometimes will allow you to utilize their indoor and outdoor pools with a Fitness pass. Breakthrough Gym and Players Club are on the Island and have quality facilities to handle the most dedicated athletes. Work out then relax and visit a Spa Facility. Spas bigger than Golf? Not quite, but inching closer and closer to becoming one of the Worlds Favorite Past time. Hilton Head Island has many unique experiences for you to enjoy on the Island. Golf, Shopping, Biking, Fitness are all stressful events. What better way to top them all off than a day at the Spa? A day or several days at a spa can enlighten you to pleasures and enjoyment you never thought possible as you relax and let someone else treat you like you have never been treated before. 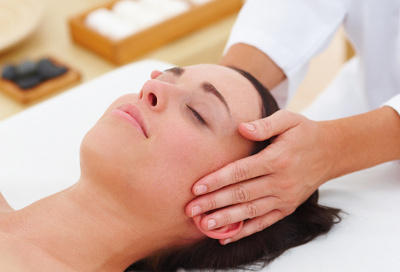 Treatments range from purely pleasure to medical spas. A day spa offers a variety of professionally administered services to guests on a day use basis. Beauty treatments such as wax treatments, makeovers, massages, relaxing saunas and mud baths are just some of the ways to relax and enjoy Hilton Head like you never have before. Some places to relax are Faces Day Spa, Nails and Skin by Linda, Salon 1050, Heavenly Spa by Westin Hotel, Spa Soleil by Marriott, Casa Blanca Spa and the European Spa. Call today to book your appointment. A massage is one way to leave the outside world behind on your vacation. Enjoy.